There are a wide array of homecare services available for your loved one. We at Homecare Powered by AUAF provide in-home care services. This means that we provide help with a wide variety of tasks including things like laundry, meal preparation assistance, medication reminders, transportation assistance, and even social and companionship interaction. See our services page for more examples of the types of daily tasks that in-home care can provide to you. The main objective of in-home care is to assist you or your loved one with daily tasks, while still maintaining independence. In-home care is based on a variety of tasks that are not-medically based. Our home care aides are trained to provide non-clinical homecare services. There are many known benefits to providing yourself or your loved one with this supportive type of elderly care service. Home health care, on the other hand, is medical care. It is generally provided by people such as nurses or certified nursing assistants or other medical professionals. 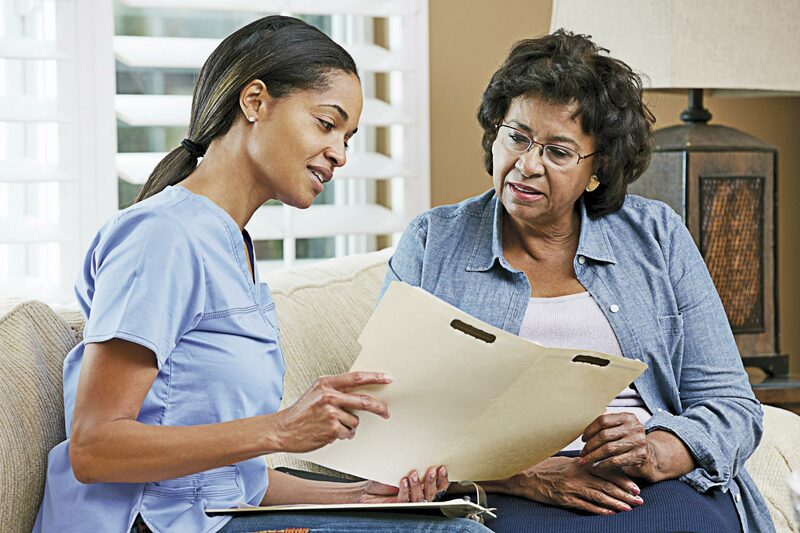 So while some of our home care aides may be nurses or certified nursing assistants, our senior services do not provide medically based in-home care. Rather, our home care agency is there to assist in the tasks we have listed in our senior services. When trying to decide on the types of home care services right for you or your loved one there are many things to keep in mind. The list below provides you with an idea of the types of senior services each can provide to you. Once you have decided which type of homecare is right for you, you may be wondering why Homecare Powered by AUAF is the right choice for in-home care. Our mission began over 25 years ago, to serve and expand in our communities. We have experience and a dedication to the communities we serve. We are members of the Coalition of the Limited English Speaking Elderly. Our caregiver services were based on the idea of serving and meeting the needs of diverse populations. So that’s why we have staff that can meet your senior service needs in languages including: English, Assyrian, Arabic, Armenian, Persian (Farsi), Turkish, and Russian. We also require a mandatory training for all of our home care aides. Hence, you can rest assured we do all we can to anticipate and meet the needs of your elderly in-home services.